Cold glue rollers eventually wear and get damaged. Our roller exchange and resurfacing program will give you a re-manufactured roller at far below the cost of a new roller. We focus on ensuring a perfectly concentric roller for perfect glue transfer. Damaged rollers can lead to excessive glue use and unplanned downtime. Exchanging your worn out roller for a freshly refurbished one will save on glue while saving approximately 50% less than a new roller. Every roller is tested to ensure it’s running true and refurbished to meet or exceed the original OEM specifications to ensure optimal performance and glue distribution. 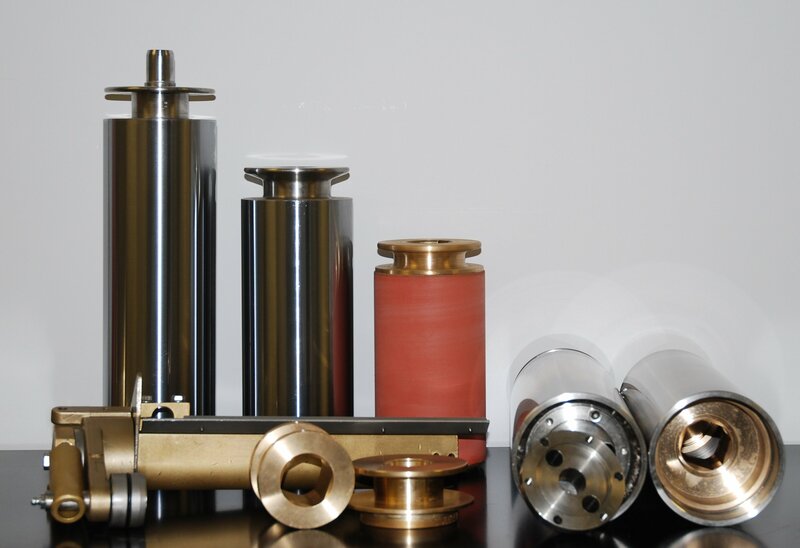 Our rubber rollers offer a highly durable rubber while our refurbished stainless rollers are hard chrome plated to ensure long life expectancy that will outperform your expectations. Contact your sales representative or our inside sales team. Provide the type of glue roller required and the OEM part number. After ordering, we’ll ship the replacement roller to you. Swap the rollers at your convenience, then return the ones to us.